A new men’s shed will be built in Ballina, thanks to a major new investment from the NSW Liberals & Nationals Government. 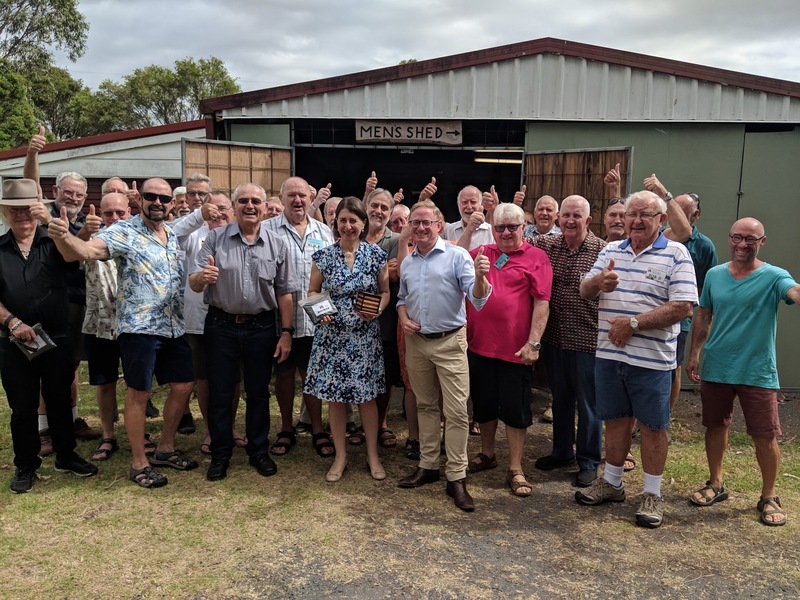 Premier Gladys Berejiklian and Nationals candidate for Ballina Ben Franklin today announced that the NSW Government will invest $200,000 to build a new men’s shed for the Ballina community. The funding will enable Ballina Community Men’s Shed, which has played an important role in supporting the health and wellbeing of the Ballina community, to build a new shed at Ballina racecourse. “We are very proud to support the Ballina community with this new funding,” said Ms Berejiklian. “Men’s sheds are a great place for guys to get together, socialise and work on fantastic local projects that benefit the community. That’s really important for men’s health and wellbeing. “Last year the NSW Government delivered $150,000 for Ballina Community Men’s Shed and we are proud to announce this new funding, which will allow the organization to keep on expanding. Candidate for Ballina Ben Franklin said the new men’s shed will enable Ballina Community Men’s Shed to expand and reach more local people. “The mateship and camaraderie formed in men’s sheds is really fantastic, so we’re very proud to make this new investment for Ballina. The investment announced today is being made available from the NSW Government’s Stronger Country Communities Fund.